The sophisticated X-Line powered by Conti is on the northern flank of the Schattberg home, which not only a steep terrain but also has a great view over Saalbach. Just crank revolutions separate the eva, Hotels from the downhill route on Saalbacher Hausberg. The massive difference in height to the mountain station you cope with the comfortable Schattberg X-Press. With a length of over 6 kilometers and an altitude difference of 1,025 m, the X-Line is one of the longest freeride routes of Europe. 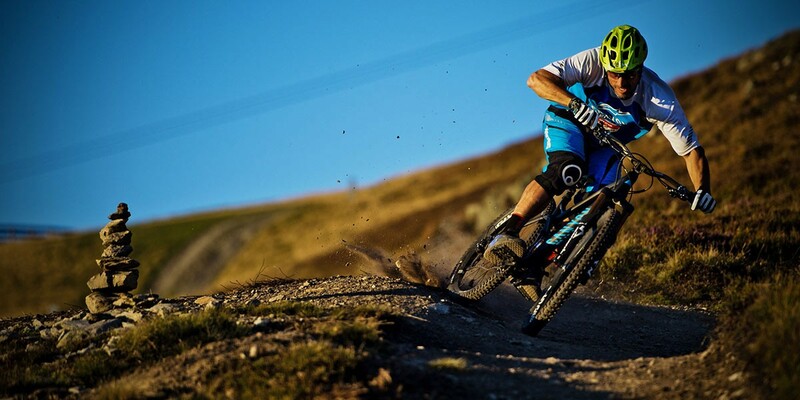 Whether enduro expert or Thoroughbred downhiller - in the steep curves and Northshore elements everyone finds his highlight and gets the right amount of adrenaline. Thats how the X-Line got its reputation as intense, technically demanding and more than fair. TIP: Since the summer of 2015 and because of the X-Line Challenge, it is now possible to time your downhill ride, to compete with your friends.